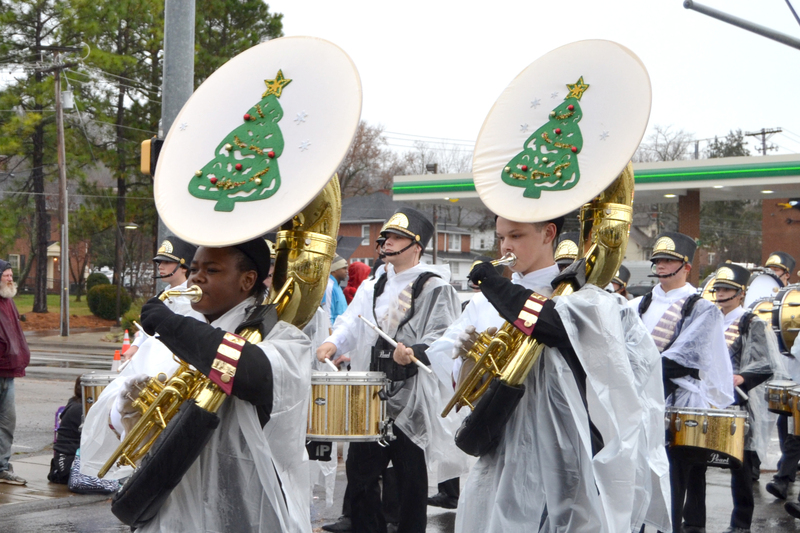 Johnson City hosted their annual Christmas parade Saturday morning, with thousands gathered to watch over 60 floats and vehicles make the trip from ETSU to Cardinal Park. 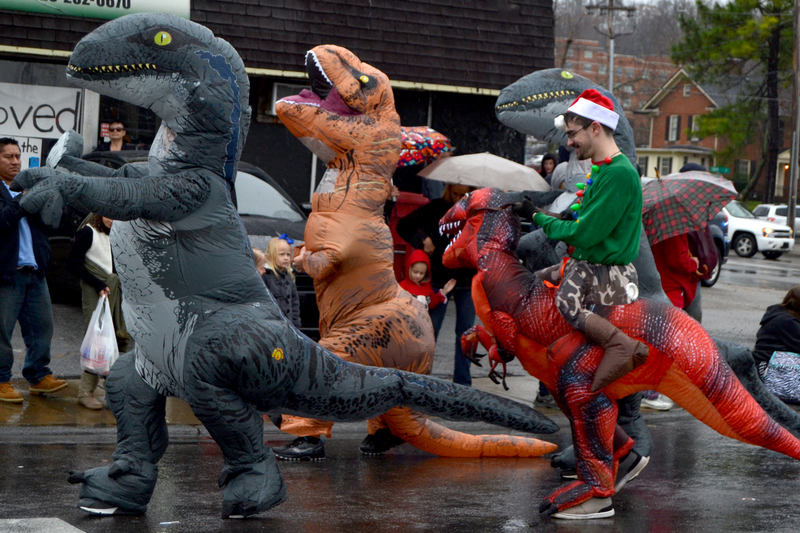 After awarding first, second and third place prizes to the best floats, the parade started at around 10:25 a.m., despite heavy rains moving through the area. 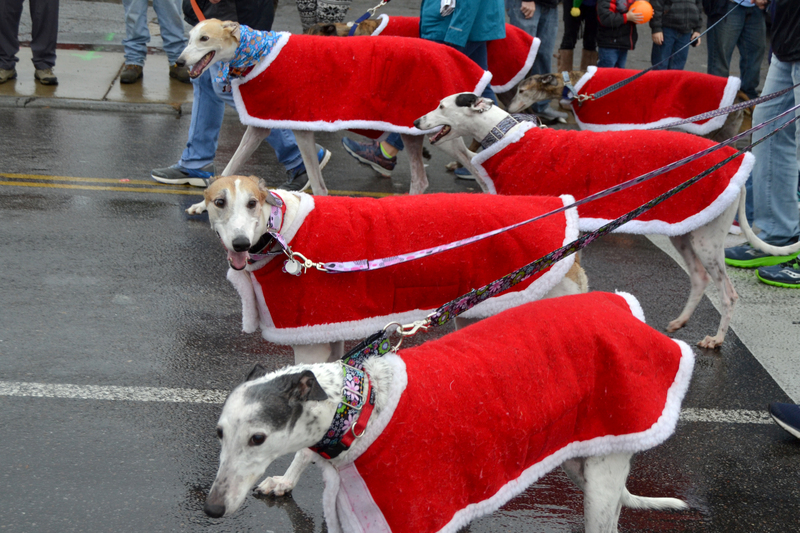 The wet weather could not dampen the festive mood for the parade as people lined the streets to watch the procession of floats go by and grab treats and toys being tossed to spectators. 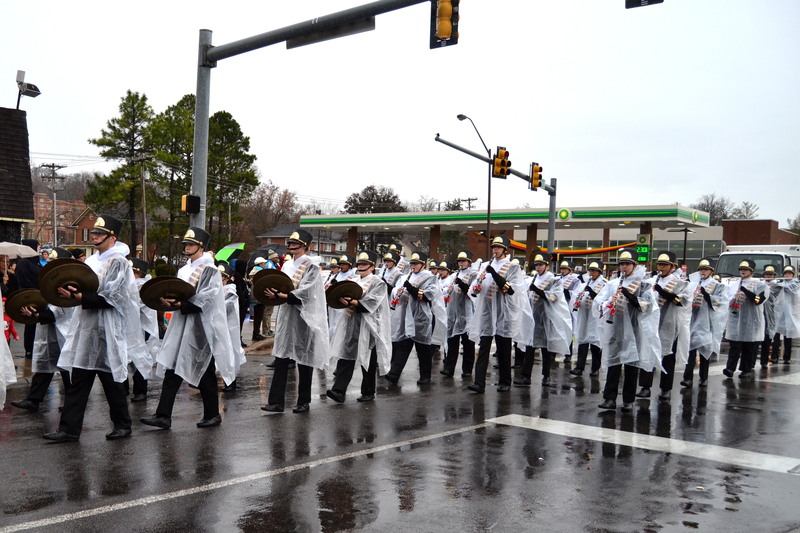 While rains may have led to a smaller crowd-size than in year’s past, the parade still had quite the turnout. “There were more people here than I thought would be here since it was rainy,” said Johnny Starnes of Kline’s Floats. Even though physical crowd-size may have shrunk slightly, WJHL’s livestream of the parade brought over 10,000 viewers. This year’s parade theme was “The 12 Days of Christmas,” something the parade’s “Best Float” by Central Baptist Church embodied perfectly. “We were kind of excited about the city’s theme this year with the 12 days of Christmas, but we thought we would change the song up a little bit and write our own song based on our version of it,” said Jeff Keller of Central Baptist Church. Other “Best Float” winners included Smallville, that took second place, and Southside Neighborhood, which came in third. Keller and Central Baptist have been staples in Johnson City’s Christmas Parade, with this being their eighth year running. They spent nearly five weeks building their winning float, and, in the end, it appears to have been time well spent. Of course, there were plenty more floats and people marching as some threw candy, pamphlets and even stuffed lizards. 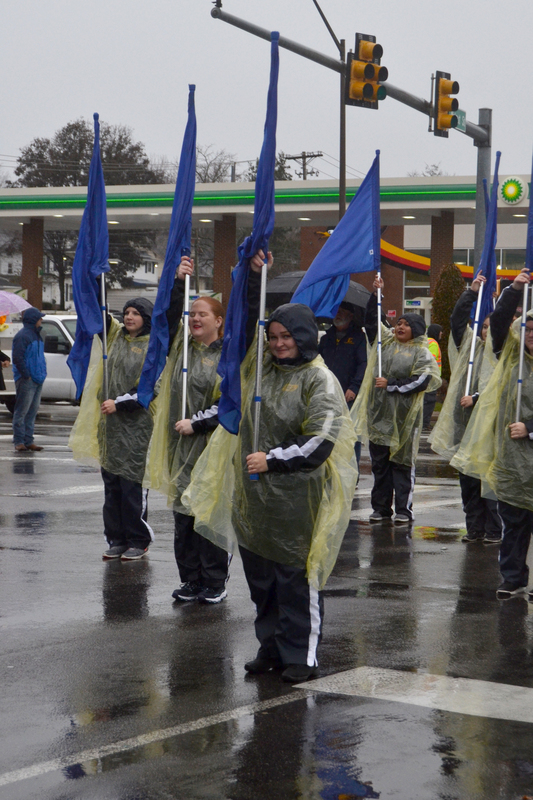 Meanwhile, the ETSU Marching Bucs and Science Hill High School Topper Band played in ponchos as the rain kept coming down. 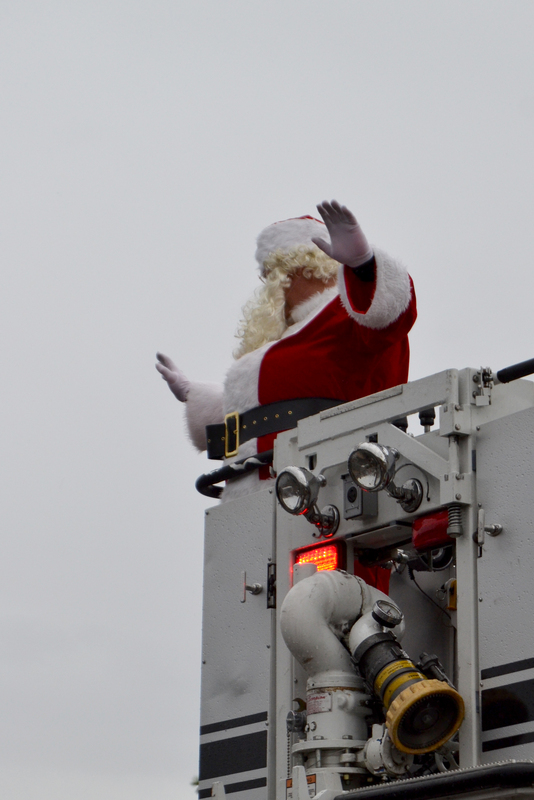 The weather may not have been perfect, but children and their families enjoyed the parade, especially when Santa Claus appeared at the end of the parade, riding on the top of a Johnson City Fire Department firetruck.